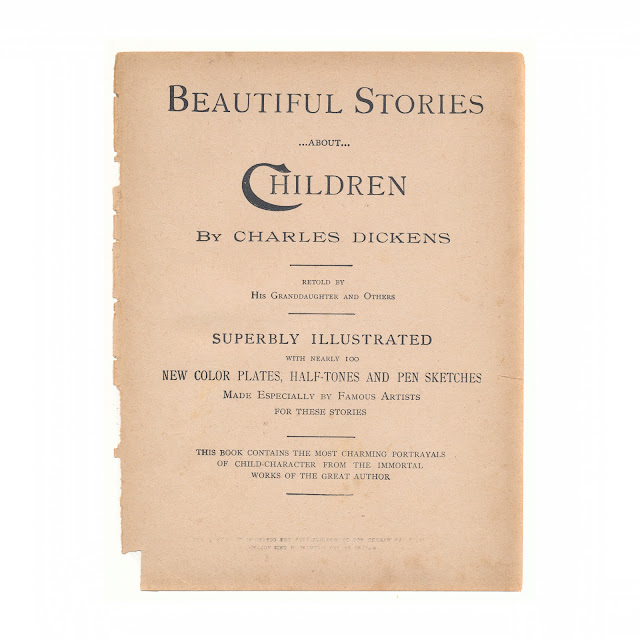 This antique color print comes from the 1898 book "Beautiful Stories About Children" by Charles Dickens; Retold by His Granddaughter and Others and published by W.E. Scull. It measures 6.5 x 9.25 inches. 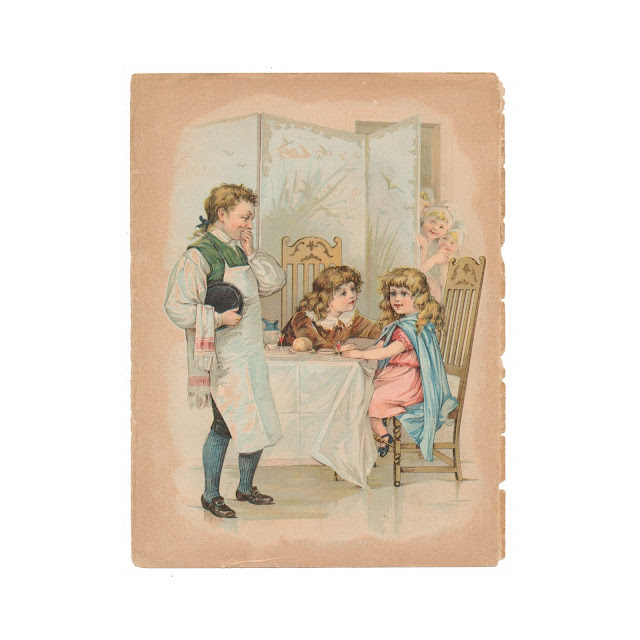 It is titled "At The Holly Tree Inn" and comes from the The Holly Tree Inn portion of the book. The paper has browned and shows a bit of edgewear, small crease at bottom portion, but the colors are still vibrant. Title page shown for reference and not included with this listing.